If you are a foodie, you will love Foodpanda as much as you love food. With its tempting offers and prompt service, Foodpanda can easily convert anybody in to a foodie. Be it a quick takeaway or a full-course dinner, ordering food on Foodpanda is super quick, easy and fun as it brings all the best food joints and restaurants at your fingertips. To make your food even yummier, Zingoy brings you all the hottest Foodpanda offers and discounts on a single page here. Also, the more you order, eat and share on Zingoy, the more cashback you earn on all your own and your friend’s Foodpanda orders. Foodpanda New Users Offer: Now get Flat 50% Off on Food Orders. Offer is only applicable for New Users. Offer is applicable 3 times per users. Maximum discount of up to Rs.100 can be avail. No minimum order required. Limited period offer. Foodpanda Online Food Offers: Now get flat 40% Off on Next 2 Orders. Maximum Discount of up to Rs.40 can be avail. Applicable for select users only. Foodpanda New User Coupon: Offer is valid only for new customers. 50% off on First 2 orders. Max Rs100 can be availed on each order. Apply Voucher Code FP50 to avail the offer. Offer is valid on Mobile App and web transactions. Offer is valid only on online payments till 31st December 2019. Offer is not valid on Dominos, Subway. Offer is valid only on delivery orders, and cannot be availed for pick up orders. Foodpanda Chinese Food Offer: Now order Chinese Food from popular brands in your area and get up to 25% discount. Coupon code is not required. Checkout the landing page for more details. Foodpanda Discount Offer on Continental Food: Now order Continental Food products from popular brands in your area and get up to 30% discount. Coupon code is not required. Checkout the landing page for more details. Foodpanda Discount Offers on Dessert: Now order Desserts from popular brands in your area and get up to 20% discount. Coupon code is not required. Checkout the landing page for more details. Foodpanda Discount Offer: Now order European Food from popular brands in your area and get up to 20% discount. Coupon code is not required. Checkout the landing page for more details. Foodpanda Promotional Offer: Now order Fast Food from popular brands in your area and get up to 20% discount. Coupon code is not required. Checkout the landing page for more details. Now order Hyderabadi Food from popular brands in your area and get up to 20% discount. Coupon code is not required. Checkout the landing page for more details. Foodpanda Cashback Codes: Now order Ice creams from popular brands in your area and get up to 20% discount. Coupon code is not required. Checkout the landing page for more details. Foodpanda Discount Offer on Italian Food: Now order Italian Food from popular brands in your area and get up to 20% discount. Coupon code is not required. Checkout the landing page for more details. Foodpanda Discount Offer on Japanese Food: Now order Japanese Food from popular brands in your area and get up to 20% discount. Coupon code is not required. Checkout the landing page for more details. Foodpanda Discount Offer on Juices : Now order Juices from popular brands in your area and get up to 20% discount. Coupon code is not required. Checkout the landing page for more details. Foodpanda Discount Offer for All Users : Now order Kebab from popular brands in your area and get up to 20% discount. Coupon code is not required. Checkout the landing page for more details. Now order Food from Restaurants like Ammis Biryani, Yo China, Papa Johns Pizza, Pizza Hut, Rollmaal, Baskin Robbin, Box8, Subway and more starting at Rs.50 only. Coupon code is not required. Checkout the landing page for more details. Foodpanda Cashback Offers : Express Guarantee is valid only in Gurgaon, Noida, Ghaziabad, Delhi, Pune, Bangalore & Hyderabad. The money-back voucher for up to Rs.200/- can be used by the customer. valid for Online paid orders only. Not valid for Bulk orders defined as orders of value Rs 800 & above. Checkout the landing page for more details. Foodpanda Promo Offer : Order Faasos food from Foodpanda & get flat 25% discount. Applicable on WTF!What-The-FEAST menu only. Minimum order amount of Rs.299 & above is required. Maximum discount of Rs.100 can be avail. Offer is valid for All Users. Apply coupon code to avail the offer. Order your Dunkin Donuts Food from Foodpanda & get flat 25% discount. Minimum order amount of Rs.299 & above is required. Choose from Value Packs, Donut Packs, Mini Donut Packs, Classic Donuts, All Time Favorite Donuts, Big Joy Burgers, Classic Burgers, Signature Burgers, Meal Combos, Sides, Beverages and more. Discount is auto applies at checkout. Coupon code is not required. Checkout the landing page for more details. Now order Behrouz Biryani Food for minimum amount of Rs.399 and above through Foodpanda and avail flat 25% discount. Maximum discount of Rs.100 can be avail. Offer is valid for All Users. Discount is auto applies at checkout. Checkout the landing page for more details. Foodpanda is one of the largest Indian food network covering more than 110 cities. Life has become so fast paced for most of us that, at times, it becomes difficult to even have a proper sit-down meal. Whether you are feeling hungry or like to order something from your favorite food. Foodpanda is your perfect panacea. Foodpanda Offers + Cashback: Availing Foodpanda promo code and offers via Zingoy brings you cashback over and above the running offers. Simply choose the offer you like, copy the Foodpanda promo code, if any, and click ‘Shop & Earn’. Continue shopping and complete the payment online to earn cashback. Earning Cashback on Sharing Foodpanda Offers: At Zingoy you can earn cashback on others Foodpanda orders as well. Just copy an offer or store link, paste it in ‘Joy of Sharing’ pane on top of this page and click ‘Get Link’. Share the newly generated link with your friends and family, and your Zingoy account will be credited with the cashback value. As a result, you will continue to earn Zingoy cashback on purchases made by your friends. 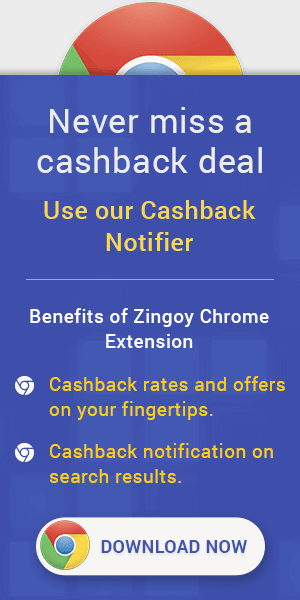 Zingoy Referral Cashback: Just share your Zingoy referral link with your contacts, get a friend or family member to join Zingoy and you earn some instant cashback just like that! Be it a get-together or a party, the food choice and taste will vary from person to person. As a result, a traditional phone call to a single restaurant will not help. This is where Zingoy can help you order all that you want at a highly discounted price, most importantly in a single go. Now you don’t have to go from one place to another find valid Foodpanda coupons or promo code to get a decent discount on your order. Just browse this page for what you want.